South Frederick Street is a quiet thoroughfare running between Molesworth Street and Nassau Street in the south city centre. Laid out in the 1730s as a fashionable enclave of residential houses, pre-empting the development of Leinster House in 1745, South Frederick Street was utterly transformed during the 20th century with a series of house demolitions. While less than half of the original buildings now survive, the street manages to retain a semblance of its original self thanks, in part, to the retention and refurbishment of two houses by Dublin Civic Trust. Sited in the middle of the street is Number 10, a handsome four-storey over basement house constructed in the early 1750s. Its defining architectural feature is its striking array of flush-framed windows with exposed sash boxes – one of the very few sets remaining on a domestic house in Dublin. 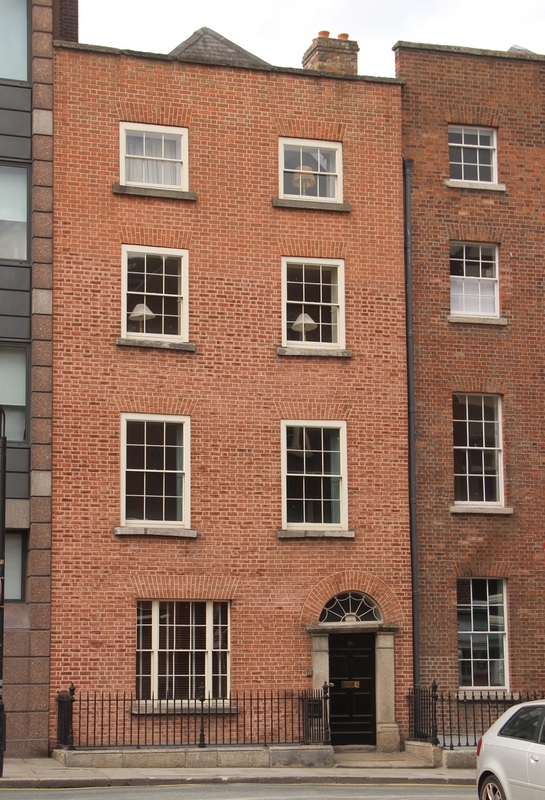 Number 10 was restored by Dublin Civic Trust in the mid-1990s as its second building conservation project, following the successful consolidation and refurbishment of Number 11 next door. Returned to residential use upon completion, both houses still remain as private family homes, demonstrating the enduring value of these buildings as city residences.